The Bedell-Boyle Lecture 1992 | The Bible in World Evangelization. The Lecture series is named in honour of William Bedell (1571-1642) Bishop of Kilmore and Ardagh, because of his commitment to the translation of the Bible into Irish. Linked with Bedell’s Irish Bible, published for the first time in 1685 is Hon. Robert Boyle (1626-1691) who ensured the publication of Bedell’s Bible. Boyle was very committed to Bible distribution and he was a distinguished scientist known for Boyle’s Law. Thus key elements of modern Bible Society work – translation, publication and distribution – were foreshadowed by these two men. The 1992 Lecture was given by Rev. Tom Houston on 3rd April 1992 in Dublin. Tom Huston is uniquely equipped to provide an overview of the needs throughout the world for the Holy Scriptures. The Response was given by Ms. Clare O’Mahony who is the first Irish person elected to the Europe Middle East Executive of the United Bible Societies. Clare is a member of the Board of the National Bible Society of Ireland. We believe that the issues presented here are vital to the life and mission of Christians both in Ireland and throughout the world. Tom Houston is the International Director of the Lausanne Committee for World Evangelization. Following his ordination into the Baptist Church and two short ministries in Scotland, Tom was successfully minister of a multi-racial church in Nairobi, Keyna, Executive Director of the British and Foreign Bible Society and President of World Vision International. THE BIBLE IN WORLD EVANGELIZATION. I am happy to deliver the Bedell-Boyle lecture this year. The subject ”THE BIBLE IN WORLD EVANGELIZATION.” is timely in 1992 when we are in the last decade of the second millennium since Jesus Christ. In many churches there is a growing commitment to accelerate the work of evangelization. It is producing a fever of goal setting. Everyone is beginning to feel pressurized to say what they want to see achieved by AD 2,000. Like politicians, environmentalists, and scientists, church leaders, evangelists and missiologists are all caught up in the exercise. This goal setting mood began in the churches in the 1980‘s. The Roman Catholic Church adopted the idea of “Evangelization 2,000” in June 1987. This program hopes to contribute to the conversion of “at least 51 percent” of the world’s population to Christianity by the year 2,000. Lumen 2,000 is serving as the media arm of that movement. The worldwide Anglican Communion launched a Decade of Evangelism for all its provinces at a meeting in Cyprus in 1988. Methodists have “The Dawning Millennium for World Evangelism”. Other denominations have done the same. Within the Lausanne Movement, that I serve, it gathered momentum in response to a letter in 1987 to evangelical Christian leaders from Dr. Thomas Wang the Executive Director noting the number of churches and organizations that were drawing up plans for evangelization culminating on the year, AD 2,000. He asked if God was not saying something through this convergence of planning. This resulted in The AD 2,000 and Beyond Movement which was launched at Lausanne II in Manila in 1989. They represent the fullest expression of what has been called “Managerial Missiology” or “the effort to reduce Christian mission to a manageable enterprise”. Concepts such as “people-group”, “unreached people”, “the 10-40 Window”, “prayer methodologies”, courses on “signs and wonders” and “evaluation tools” all combine to reduce the mission of the churches to a measurable, understandable picture and then project appropriate action plans for mission in the light of that analysis. Associated with the plans for the Decade of Evangelism is also a renewed interest in Prayer and Spiritual Warfare. Dr. Barrett estimates that there may be as many as 170 million people who are daily intercessors for the work of world evangelization. An increasing literature on Prayer and Spiritual Warfare is being produced. It is likely, therefore, that there will be unprecedented activity going under the name of Christian Mission and Evangelism in the years leading up to AD 2,000. The concepts of “Mission” and “Evangelization” being followed are not uniform and plans are seldom coordinated and there remains very great potential for confusion as the decade proceeds. The Lausanne movement exists to focus the churches on completing the task of World Evangelization and the Lausanne Covenant indicates that both the Bible and the Bible Agencies are critical to completing the mandate Jesus gave to his disciples in the Great Commission. The Scope of the Subject. This is a very broad subject. I shall try to make it relevant to the challenge of World Evangelization today as I see it. I shall use a description of the task suggested by Dr. David Barrett the editor of the World Christian Encyclopedia. He sees the world divided in three. It is also useful to think of Countries that have a majority of people in each of these categories. The Role of the Bible in Evangelization. By “the Bible” I mean The Scriptures of The Old and New Testaments or parts of these in a translation that the people who are being evangelized, can understand. If we are talking about “The Bible in World Evangelization” we are thinking not about Bible Distribution but about Bible Use. There can be much Bible Distribution that does not lead to Evangelization and that may even work against Evangelization. Historically, translations of the Bible have followed the establishment of Churches. In more recent times, translations have sometimes preceded the planting of any church in a language group but this is the excep­tion rather than the rule. It is important to recognize and admit this order. Failure to do so will prevent us from devising wise strategies in the use of the Bible in evangelization. It is romantic to think that if we translate the Bible and send it in to an unevangelized people it will magically work their conversion. There are enough stories of people being brought to faith in Christ just through the reading of the scriptures for us to be seduced into the illusion that this is the way it should always be. These are great stories and we should keep looking for them and keep telling them. But we should not imagine that they are a guide to more than a tiny part of any strategy. This gives us clues as to the role of the Bible in Evangelization. It is the source book for the witnesses, evangelists and teachers. There are three aspects of the word of God. There is the word of God, written (Gk.=GRAPHAI). There is the word of God, spoken (Gk.=LOGOS). This is the most common use of the concept in the New Testament. The revelation of God happened in the experience of people before it became written Scriptures. After it was written, the drive of the Bible is to get the words off the page again on to the lips and into the lives of people. This is what the witnesses, evangelists and teachers do. They are not able to do it without the Bible as their source book. It has an educating role for seekers for truth. It gives information and tells stories about the acts of God in history in their own language to any who may read or hear it. It supplies the content of the Good News in a comprehensive way and especially about the life, death and resurrection of Jesus. The importance of the translation of the Bible into the mother tongues of people cannot be over emphasized. The fact that the translators have gone through the long and arduous process of translating the Scriptures into the thought forms and linguistic expressions of a people is an affirmation at once of the universality of the Gospel and of its local relevance. It has a corroborating, authenticating, and verifying role. Where the idea of a holy book is recognized, or where the concept of the Bible as the authoritative Word of God and the record of God’s revelation to humankind is known, then the Bible reinforces the authority of the Good News that is heard and received. Barrett and Reapsome. (1988) “Seven Hundred Plans to Evangelize the World” New Hope, Birmingham, Alabama. Escobar, Samuel (1991) “A Movement Divided” in Transformation Vol.8 No.4 October 1991. Paternoster Press. 3, Mount Radford Crescent, Exeter EX2 4JW. UK. Bush, Luis (1991) “Countdown 2,000.” The AD 2,000 Movement. The 10-40 window is the belt that extends from West Africa across Asia between 10 degrees north and 40 degrees north of the equator. Barrett and Todd (1990) “Our Globe and How to reach it”, p.32, New Hope, Birmingham, Alabama. Quoted in “Information Service” N.75 1990 (IV) p. 157. of The Pontifical Council for Promoting Christian Unity in The Bible and the New Evangelization, The Final Statement of the Fourth Plenary Assembly of the Catholic Biblical Federation in Bogata, July 1990. “The Manila Manifesto – An Elaboration of the Lausanne Covenant 15 years later” (1989) p. 50. Barrett and Todd (1990) “Our Globe and How to reach it”, p.25,126,127. New Hope, Birmingham, Alabama. “Origins” January 31, 1991, Vol 20: No. 34, p.551. “Translation and the Spread of the Church” (unpublished lecture) by William A Smalley. The Manila Manifesto, p. 44. It has an elaborating role. People can come to saving faith in Christ with a very minimal understanding of the Good News. It is astonishing that it is so, but God shows us in this how earnestly he seeks and finds those who are lost. Once they are found, however, there is a lot to learn about the Father, his world, themselves and others and the Bible’s role is to fill in all the detail. Paul describes this when he says, “All scripture is inspired by God and is useful for teaching the truth, rebuking error, correcting faults and giving instruction in right living, so that the person who serves God may be fully qualified and equipped to do every kind of good deed. The Bible reaches believers in three main ways. Through a teacher or catechist who uses Scripture in his teaching.. Through the public reading of scripture in the church. This is the principle way in liturgical churches and arose in non reading societies. Probably more Scripture is still heard by Christians than is read by them. Through the private and family reading of the Bible. It has a consolidating, reinforcing, and maintenance role. Life takes a long time to live. Christians always need to be reminded of what they believe and of the will of God which they are to obey. The Bible is a major instrument for doing this. It has a motivating role. It stirs the emotions and moves the will, Here I would like to mention the way in which the Bible meets the human need for intimacy. Intimacy is a great hunger of the human heart. Loneliness is its opposite. James speaks of “living in the company of” the Scriptures. There are millions who will tell you that God speaks to them through the Bible read and heard and they are encouraged and enabled to stand firm or take initiatives or otherwise live as obedient disciples of Jesus Christ. How then do we harness these roles that The Bible plays in Evangelization in the different worlds that confront us today. This consists of those who have never heard of the gospel or of Jesus and the countries or cities in which they are the massive majority. There are about 35 countries concentrated mainly in a belt from Mauritania in West Africa to Mongolia in East Asia, and includes Islamic countries in North and West Africa, The Middle East, West and Central Asia, Pakistan, Bangladesh, Indochina, and China. Twenty seven of these are more than 98% non Christian and have between them populations of 668 million people. (Annex 1) Such people, however, exist in every country and World Evangelization means bringing to them the Good News of Jesus Christ. To World A the Bible must be made accessible to the peoples in it. “How can they believe if they have not heard the message?” There are several barriers to the accessibility of the Bible to such people. Total ethnolinguistic peoples in the world. 11,500. Peoples with whole Bible 3,490. Peoples with N.T. only 1,120. Peoples with some Scripture 6,500. Peoples with no own language Scripture 4,850. As a result of Lausanne II in Manila all the Bible Agencies are getting together to review and try to agree on the priorities for translation in the languages that do not yet have the Scriptures. There are significant improvements in the literacy rates in some parts of the not yet evangelized world and there are plans afoot to improve this. UNICEF with its very effective Child Survival Campaign is stimulating literacy with the high prize among parents of the survival of their children. In World A, however, illiteracy still stands in the way of the impact of the Bible. The Christian Church, therefore, should be involved in the promotion of literacy as well as the translation of the Scriptures in these populations and especially among women. Emmanuel Todd has shown that female literacy is the most significant factor in triggering cultural development among a people. I believe that one of the most strategic things Christians who want to evangelize could do, is for women to become involved in literacy programs of a secular, developmental nature with the longer term goal of introducing these women and their children to the Bible in formats appropriate to their culture. There is now precedent for believing that there could be very dramatic development in evangelization if we had Scriptures in audio and especially film format. The use by Campus Crusade for Christ of the Jesus Film in more than 190 languages, with half a million people seeing it every day and a high response to the message shows what can be done. It also makes it a crying need to be able to follow this up adequately with teachers, scriptures and other aids to consolidate what has been so effectively begun. A further factor denying access to the Bible in World A is the absence of religious liberty. Barrett was saying in 1988 that the trend was that more countries were restricting the activities of Christians each year and was projecting that this trend would continue until the end of the millennium. With the events in USSR and Eastern Europe and the effect in countries with Marxist Governments in other parts of the world, we may be seeing an opening for evangelization that was not anticipated even a year ago. If this should happen in the countries with an underlying Buddhist related culture where there has been an intensive overlay of Marxism, such as Vietnam, Laos, Cambodia, North Korea, Mongolia, and to some extent China, we will be presented with an unusual situation. One of the things that Communism almost invariably does in countries where it comes to power is to increase literacy and bring women more into the mainstream of society. A glance at the literacy percentages in these countries (Annex 2.) will show this to be true. If there comes to be more openness to evangelization, then the Churches and the Bible Agencies will need to have very original thoughts as to the programs and the product that will harness this tremendous potential for people to discover the truth of the gospel. Religious intolerance, however, from fundamentalist groups in Islamic, Buddhist and Hindu countries has also been more strident. It is also too early to say whether this will translate into more actual restriction for the work of evangelization, but we need to be prepared that it might be the case and be ready with strategies to deal with it. Paul Eshleman. (1985) “I Just Saw Jesus” Here’s Life Publishers, San Bernadino CA. We need to remember that it has been a characteristic of the Church of Jesus Christ that it has grown through martyrdom, probably more than through any other single factor. Barrett has shown that there have been 40 million martyrs since the time of Jesus and that over the last 40 years there has been an average of almost 300,000 people who die for the faith of Christ per year. Again until 1988 he was predicting that this could rise to 500,000 by AD 2,000. If he was correct in his forecast, we need to think what we should be doing. Perhaps this is one of the things that we should be learning from our brothers and sisters in USSR and Eastern Europe now that they have more freedom, namely, how we could better have helped them in the matter of Bibles and their use in their time of restriction. The last factor in World A that inhibits the spread of the gospel is sheer poverty. The countries that are non Christian and highly illiterate are also in grinding poverty. There are little or no means to be able to invest in Bibles or parts of it, even if they could read them. Reaching them will be a high cost operation. Barrett estimates that only 0.1% of the money spent on Christian literature including Bibles, worldwide is spent on World A. There needs to be a massive shift of resources if we are to bring the Bible to bear on this least evangelized world. This consists of those who have heard the gospel but have not yet accepted it and the countries where they predominate. It has about 76 countries. It includes some where there has been a Christian Church and a translation of the Bible for many years but the Christians have remained a very small minority. This includes Syria, Egypt, Lebanon, India, Sri Lanka, Indonesia, Japan, Cuba, Chad, Nigeria, The Central African Republic, the old Soviet Union and Vietnam. These are the countries of the world where the Christian Gospel has had least success. Missionaries have been there for a long time. There are whole Bibles in one or more of the main languages of the country. There is a church established and there are efforts to evangelize but the response has not been high. We are talking about the most resistant countries of the world and some of them are the most populous. India, Indonesia, Japan, Sri Lanka, Thailand, and some countries of the Middle East. If we add the fact that we have had a Bible in Arabic since 1671, Persian since 1838 and Hebrew since 1599, we get an overwhelming sense that we need to do some serious thinking if we are to understand the role of the Bible in Evangelization. If the key word in World A is Accessibility, I believe the key word in World B is Indigeneity. Somehow the Christian Gospel and the Bible along with it did not seem to belong in the culture, or, alternatively, it belonged to one ethnic group and not to others. As a consequence, they have not taken root in the widespread way in which they have taken root in other situations. To be Thai is to be Buddhist and to be Buddhist is to be Thai. Christianity is foreign and those who follow it are close to being traitors to their country in the view of many. Here also, however, we are also in a fluid situation because of developments in recent years that we could not have contemplated ten years ago. China has surprised us all with fantastic growth in the churches, whatever figures you take as valid. The tension between the Three Self Patriotic Movement and other more informal churches seems to bring a new complexion to the whole debate about Christianity being a Foreign Religion. It would be fascinating to know what role the rise in literacy in China under the Communists has played in the increased responsiveness to the Gospel. The situation in the former USSR, has become very fluid and the possibility of Central Asia opening up to the influence of the Gospel becomes a tantalizing prospect. At the same time, the ethnic tensions between Azerbaijanis and Armenians and Uzbeks and the Russians show that there is a long way to go before the gospel will be seen to belong to all the peoples of The Soviet Union. So, the challenge for the Bible in the Evangelization of World B is the challenge of Contextualization. We must obviously look again at the translations that we have to make sure that they adequately contextualize the ancient message in the cultural thought forms of the peoples in question. Don Richardson has argued, for example that the responsiveness of the Koreans compared to the earlier unresponsiveness of the Chinese may have hinged on the word they used for GOD. Lamin Sanneh of Yale is raising the question as to whether “Allah” as a translation for God in vernacular Scriptures does not deprive some peoples of their names for God that preceded their Islamicization. Current efforts at producing Common Language translations are of course addressing this question. I feel however that there now needs to be an evaluation of the effectiveness of these translations. Their introduction and acceptance has not always been either easy or dramatic. There is much that we need to know by testing and enquiry. Bible Use calls for better understanding than we have so far had in these countries. When we understand how the Bible needs to be used, we might have more user-friendly products for the people. In secular terms we have a marketing problem that is called “Negative Demand”. The more we offer our product, the less it is wanted. Negative Demand requires “Conversion Marketing”. The challenge is to change the attitude to the product so that what previ­ously made it undesirable will be substituted for something that meets a felt need. To be able to do this will mean finding out and correcting what currently puts people off the Bible. This implies long and hard thinking on the part of the churches and the Bible Agencies and it is long overdue. It will mean converting some of the money that currently is put into throwing Scriptures at the markets to little purpose, into research to find out the true state of affairs. It is not something that Christians have been good at. We feel that the Holy Spirit should in a magical way be able to act so that any barriers to the acceptance of the Gospel are overcome. He can do that and he has done that. But when you analyze how he has done it, he has used means from which we may learn and pave the way for his working in other places. Behind these technical ways of tackling the Bible in World B countries, there is a deeper question that affects the churches. If I am right in identifying the issue as Indigeneity, then the only way Gospel and Bible will come to be favourably heard is when the Christian Churches and the individual Christians are seen at the same time to be local to their own people but universal in their sympathies. They must not be over identified with any particular ethnic, social or caste group. Sri Lanka is a case in point. The Christian Churches are perhaps the only institutions that draw from the ethnic Sinhalese and the Tamil communities. If they could model reconciliation and acceptance powerfully, they could pave the way for a new day of harmony in their country and credibility for their Gospel. This consists of all persons individually who are Christians anywhere across the globe and the countries where they make up the majority of the population. It has about 145 countries and includes West, Southern and Central Europe, North and South America, South and East Africa, the South Pacific Islands, the West Indies, the Philippines, and East, Central and Southern Africa. It is not a uniform picture but the gospel has been received in time past and there are well established churches. If the issue for The Bible in World A is Accessibility, and in World B is Indigeneity, the issue in World C is Credibility. This is true especially in what used to be called Christendom, but it is true wherever Christians are in the majority. In the West in the last 150 years there has arisen a secular worldview that undermines and challenges the worldview of the Bible. The result is that it is not viewed as credible nor is the Gospel it sets forth. This secular worldview is conveyed in the educational systems of these countries and reinforced by all the media. Leslie Francis has shown that the attitude of children to the Bible starts to deteriorate at around age 8 years and continues to do so during the years of formal education. There is not necessarily a direct attack on the Bible. It is just that a world view is taught with underlying secular and rationalist presuppositions that undermine the book that is above all about God and a religious view of the world. This results in a turning away from the Bible, often for life, unless it is challenged and arrested by some factor of experience or the credible witness of Christians. Paul Fueter showed when he worked with the United Bible Societies that if you put all the figures together, the Bible market in Europe has been relatively static since the beginning of the century. The British & Foreign Bible Society, in the early eighties, developed an attitude scale to the Bible for measuring populations and are convinced that until the Churches can change the attitude of people to the Bible there will be little more than replacement in Bible sales. That this is not a lost cause has become apparent in The European Values Systems Studies in Europe. Here it is clear that there is a part of the population that is fairly deeply secularized but that it is a minority and more than 60% of the population say that they believe in God or God is quite important to them. This is much higher than those who have an active affiliation with a church and shows that there is a latent religiosity that needs to be understood and built upon. This calls for a major combined effort by the churches and the Bible Agencies combat the negative demand for the Bible and its message in World C. It needs to be tackled at different levels but it is one task. It is an educational challenge. There needs to be curriculum supported by products that will reinstate a religious worldview as a valid option for our children. A start has been made in Britain with the educational video “Message from the Memory banks” but this needs to be but the first of a continuous supply of thinking and products that commend themselves to the educational profession. It is a media challenge. I take the view, well substantiated, that the electronic media and television in particular are reinforcing, not converting agents. What is happening just now is that peoples worldview is shaped in the home and at school and then reinforced ad infinitum by the media. It is interesting that the United States is the one technologically advanced country in the world where Church attendance has not declined while technology has advanced. They still have around 40% of the population in Church or Synagogue once a week and that has not changed much over 40 years until 1991 when it rose to 43%. The scores in the European Values Study in the United States also showed a much higher regard for the Bible and a much wider belief in the fundamental beliefs of the Christian faith than the countries of Europe. I believe that the reason for this is that the Christians in America have kept seriously involved in the education of their children. There is an alliance between the Christian family and the schools their children attend to keep the Christian faith before them in credible academic institutions. Then the media are available 24 hours a day to reinforce the particular brand of Christian worldview that a person or family favours. We in Europe may not like some of the brands of Christian worldview. What we cannot deny is that they thrive and continue to do so in the same technological age that we have to live in. It is this challenge the “The Gospel and Our Culture” is undertaking to turn around both the educational and media bias against both Bible and Gospel in our societies. What is now necessary, therefore, is that someone starts to mobilize the Christians who are already in the teaching professions and in the media to tackle this very great need from within these institutions. It will not be easy and it will not be sudden, it will be a long term task but it is doable and we ought in the interests of evangelization to try. It is a publishing challenge. There has to be a way by which the Bible can be produced, that will make its message accessible to the modern reader. It is not easy with so large a book when people have so little time and there is so much competition from video and T.V. Yet publishing is not diminishing. It is changing and Bible Publishers need to be at the forefront, producing their product as a user friendly book or set of books. The publishing challenge is not finished, however, when the product is available. It has to be marketed and that brings us back again to the negative attitudes that have to be changed in the way the product is presented to the shops and to the reader. One interesting example of a product that attempts to meet the needs of the people in a World B country is the Christian Community Bible produced in the Philippines. It has about 75% text and 25% notes. I understand that it was developed first in Brazil in Portuguese to meet the needs of the thousands of Base Ecclesial Communities there and then further worked on in English in the Philippines. It takes the bold and controversial position of being committed to “the preferential option for the poor” that is the stance of the Roman Catholic Church. The result is a Bible that grabs your attention even if you do not always agree with the way it treats passages. Printed in 1988, I have been told that it now has 12 million in print. It is a community challenge. There is considerable evidence that people are not negative to Jesus and less negative to the Bible than they are to the churches. Sometimes churches stand in the way of the Bible being effective in World Evangelization. That has to change, but in what ways? I believe that there are two critical issues here. One is secularism or living as though God did not exist, even if we say we believe in Him. The other is related to it. It is materialism or living as though life consisted in the number and quality of the things we possess. Christians need to model a religious, just, unselfish and generous way of life because they are the people that others associate with the Bible. This is already taking place in the small house groups where belonging and community are fostered and people help one another to be truer disciples of Jesus. These are growing in the US and UK but they need to become a hallmark of more churches so that they can become the way of entrance into the church. I have spoken of World C so far, from a Western European perspective because that is the world where this lecture is being delivered. There is a need to translate this also into the worlds of Latin America, North America and the other areas mentioned before. I would like however to add some comments about Eastern Europe and the former USSR, because they present a unique and an immediate case for our consideration of the subject “The Bible and World Evangelization” Glasnost is leading to the demand for and the likely supply of millions of Bibles to all of these countries. It will be a massive operation and we need to ask how will it help or hinder Evangelization in and from these countries. I offer these observations. I am delighted that there is such a demand from the East and such a response from the West, but I am also worried because so far as I can see the operation is one of shipping in crates and crates of traditional Bibles that we in fact have been moving away from in the West. I ask, “Do they fit the market? What is the market?” No one seems to be asking these questions. To begin with, there was no widespread tradition of Bible reading in these countries in the past. The main Churches were liturgical Churches probably because illiteracy rates were quite high. As usual Communism has increased literacy in these countries greatly as you will see from the figures in Annex 1. This means that the Bibles are going into a highly literate population who have not been used to having or reading the Bible. What is more, they have been brought up on scientific humanist worldview, very solidly inculcated. How are they going to handle the Bible? How are they going to view us when they come over to the west and see the range of Bibles and Bible Helps that we have in our shops and then see what we have dumped on them? I believe that as a matter of urgency there needs to be a major attempt to accelerate market research on Bibles and get started within a year into versions of the Bible that will really be useable to those who can read but are approaching the Bible for the very first time from an alien world view. In conclusion, I would like to speak about the interaction between the three worlds we have looked at. We all know that the world has become a global village. What happens in one part is soon news to all. If you sneeze in Mexico, someone can catch cold in Hungary. I have said that there is overlap in the worlds and that can work for the Bible and World Evangelization. One of the links between the three worlds is migration. Those from World A and World B are in the West in very large numbers. Turks in Germany. North Africans in France. Indonesians in Holland. Indians and Pakistanis in England. Chinese, Vietnamese, Cambodians, Japanese, Koreans and Iranians Arabs in America and all over the place. Some are political refugees. Some are economic refugees. Some are travelling for business. Some have emigrated to better themselves. There is an irony in it all. The countries we cannot send missionaries to are sending their people to us! The original Diasporas were those of the Israelis and then the Jews. They had become exclusive in their attempt to keep God’s blessings to themselves and they divided the people of God in the process. They forgot all about all the families of the earth to whom they were supposed to be a blessing. But they went out into the world in their compulsory Diaspora and the blessing went with them. They became a prototype for the Christians down through the centuries who took the Gospel wherever they went or were taken in the world and told it to whoever came to them. It is no different today. What are we to do about this? I believe that the Christians and the churches in the countries that are now hosts to Diasporas from the countries where the Good News of Jesus and the Bible is not known, have a great opportunity to experiment and find out how the Bible could be used in Evangelizing the strangers in their midst. I see it as a priority task. It will make great demands on us if we do this. We will need to get rid of our Xenophobia, the comfortable way of living just with the people who are like us. We will need to begin to learn about cross cultural communication. But this is the test on our doorstep of whether we really are interested in what has been the subject of this Lecture. David B. Barrett. (1987) “Cosmos Chaos and Gospel”, p.96. New Hope. Barrett and Reapsome (1988) ibid p.27. Don Richardson, (1984) “Eternity in Their Hearts” p.62-71. Regal. Lamin Sanneh (1989) “Translating the Message” Orbis. 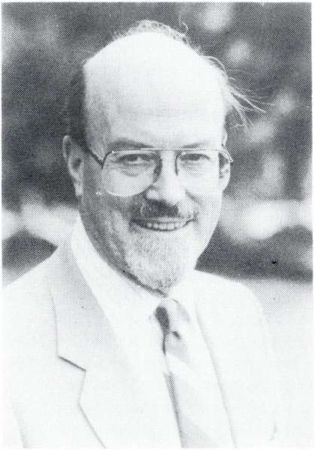 Leslie John Francis (1980) “Christianity and the Child Today” Oxford. Harding, Phillips and Fogarty. (1986) “Contrasting Values in Western Europe” pp. 29-73. Macmillan and Abrams, Gerard and Timms. (1985) “Values and Social Change in Britain” pp.50-92. Macmillan. “The Christian Community Bible” Co-published by Claretian Publications, St. Paul Publications and Divine Word Publications in the Philippines. 1988. “The Causes of Progress” p. 196. Jesus prayed for his disciples before he died, “Dedicate them to yourself by means of the truth; your word is truth” and, “May they be one so that the world might believe that you sent me”. Truth and unity were linked. It is a matter for encouragement that over the last 30 years there has been so much cooperation between churches over the translation of the Bible texts. It seems to be more and more recognized that in the Bible we have not only a valuable and common heritage, but also one message to share with those who do not yet know Jesus Christ. It will take the whole church to take the whole gospel to the whole world and not the least of what can bring them together in the task, is a common use of the Bible in World Evangelization. COUNTRIES WITH MORE THAN 98% Christian in descending order. Bold type = Majority Muslim. * = the countries in the highest Quartile of Infant Mortality or equivalent. With the Percentage Literate in ascending order. Sources: “The State of the World’s Children” OUP 1990 and “Operation World” by Patrick Johnstone STL/WEC 1986. 84 United Arab Emirates ? MEMBER OF EUMEC AND NATIONAL BOARD, NBSI. In responding to Rev. Tom Houston’s remarkable overview I am immediately reminded of St. Paul’s questions “… how can they call on him in whom they have not believed? And how can they believe in him of whom they have not heard? And how can they hear without someone to preach? And how can people preach unless they are sent?’ (Romans 10: 14,15). The Churches and the Bible Societies are partners working together to bring the Word of God to each of the three worlds so ably described by Tom Houston. The National Bible Society of Ireland is a part of a world wide fellowship of Bible Societies working in over 200 countries of the world. Each Bible Society exists as a voluntary charitable movement of Christians in order to translate, publish and distribute the Holy Scriptures in the most effective way and at prices which can be afforded by all. Bible Societies depend upon Christian giving in order to carry on this vital service to the Churches. Rev. Tom Houston’s lecture is an admirable means of educating each one of us and every Christian of the vast needs which exist and of the great calling to which we must respond. I am privileged to represent Ireland on the Europe and Middle Fast Regional Executive Committee (EUMEC) of the United Bible Societies. It was a deeply moving experience to meet in Beirut, Lebanon as guests of the Bible Society of Lebanon. While there we met Christians of so many different traditions Maronite, Baptist, Chaldean, Presbyterian, Orthodox, Anglican, Roman Catholic and others who each value the Bible Society because it is committed to serving them all. This was true of the Bible Societies in Syria, Iraq and Jordan also where wonderful work is being done and was done during the recent war in the region. The emerging Bible Societies in Eastern and Central Europe require our unstinting commitment as they struggle to get established, to serve all their Churches and to undertake new translation and distribution programmes. Our Churches in the West and in Ireland have yet to discharge their full responsibility to our fellow Christians in the former Communist bloc countries. Sustained commitment is required not inadequate gestures. I believe that Tom Houston’s stress on the vital importance of literacy deserves more attention by our Churches in terms of mission and evangelization I can support this being aware of the growth of the New Reader Programme of Bible Societies which has the support of UNESCO in the fight against illiteracy in countries such as Rwanda and so many others. Our Sowers’ Club provides a means through which individual and groups can commit regular support to such vital programmes. I believe this lecture raises the key issues which every Church needs to confront and it outlines very clearly the vital role of the Bible in world evangelisation. Our prayer must be that we will rise to the challenge. Response Rt. Revd. George Otto Simms.